Apart from their line of Fujinon cinema lenses, Fujifilm hasn’t been a brand you’d readily associate with filmmaking in the past. This all changed just recently when Fujifilm released the X-T2, a beast of a mirrorless camera that features full sensor-readout for very detailed 4K video, Fujifilm’s famous film simulations, LOG-output and a headphone-jack through the optional battery-grip. Now how does the X-T2’s smaller and cheaper sibling, the X-T20, hold up for 4K filmmaking? Can we really have all the 4K-goodness of the X-T2 at roughly half the price? Where other brands would have reserved their best processor to their top-tier camera and leave out the mic-input and EVF on the cheaper models, not so with Fujifilm. The XT-20 has the same sensor and processor as the X-T20, an EVF, a mic-input and the same film-simulations. One could even argue that Fuji stuck the better screen on the X-T20: both have the same size and resolution, but the X-T20 has a touch-screen for focussing! Ok, let’s not get ahead of ourselves: Fujifilm did reserve the LOG-output and headphone-jack to the (battery grip of the) X-T2. Furthermore, both differ in the way the 4K image is processed: the X-T2 uses oversampling, whereas the X-T20 applies line-skipping. This -in theory- means a slightly less detailed 4K image on the X-T20, but keep in mind that most other 4K cameras in this price range also use pixel-binning/line-skipping. The Sony A6300 being the only exception at the time of writing. I came across the XT-20 when I was looking for a camera that had a great built-in 'look' to use as a B-cam on projects with a quick turnaround. For many projects having less choice in post is actually a good thing. I can spend hours finding the right LUT, and tweaking colors and exposure, only to then decide on a different look (sounds familiar…?). Having a great baked-in look can be an enormous productivity-booster, so of the big draws to me was Fujifilm’s color science and film simulations. There’s a distinct ‘analogue’ feel to the images that makes it a pretty unique camera. And the stills are pretty special too. One of the downsides of having a baked-in look is of course you can’t easily recover over- or under-exposed shots. Some of the film-simulations are rather contrasty, so I did end up with quite a few over-exposed shots in my initial testing. In this case, setting highlights and shadows to -2 allowed for a little more leeway. I you really need LOG, the XT-20 isn’t for you, because the in-camera image-adjustment options are limited. Since the days of analog film, Fujifilm has always been known for its great color science, and it’s a smart move from them to enable these film emulations for 4K video. Sure, on other brands you can also switch color profiles, but these are mostly slight variations of the same camera-specific color-rendition. Switching film emulations on a Fuji feels a bit like switching to another camera, the differences are that pronounced. For general shooting, I found the Provia profile to provide the most natural but still punchy image and good skin tones. Velvia would work well to liven-up a dull cloudy scene, whereas others seem to swear by Classic Chrome for everything. Image detail is better than I expected, also on wide shots where lack of detail is often most noticeable. The image structure looks very organic, and without that harsh artificial ‘pop’ that some other manufacturers add by default. The X-T20 features a positively retro design with physical knobs and dials for the camera’s most important functions and working with the camera it reminded me more than once of the Panasonic LX-100. In fact, when you compare the top layout of both camera’s, they’re hard to keep apart! Their design-philosophy being so similar, they also share some of the same quirks. For example, just like on the LX100, there’s no 1/50th of a second on the shutter dial (for European users). The solution to this issue is also the same for both cameras: you have to fine-tune the shutter-speed using a different dial. 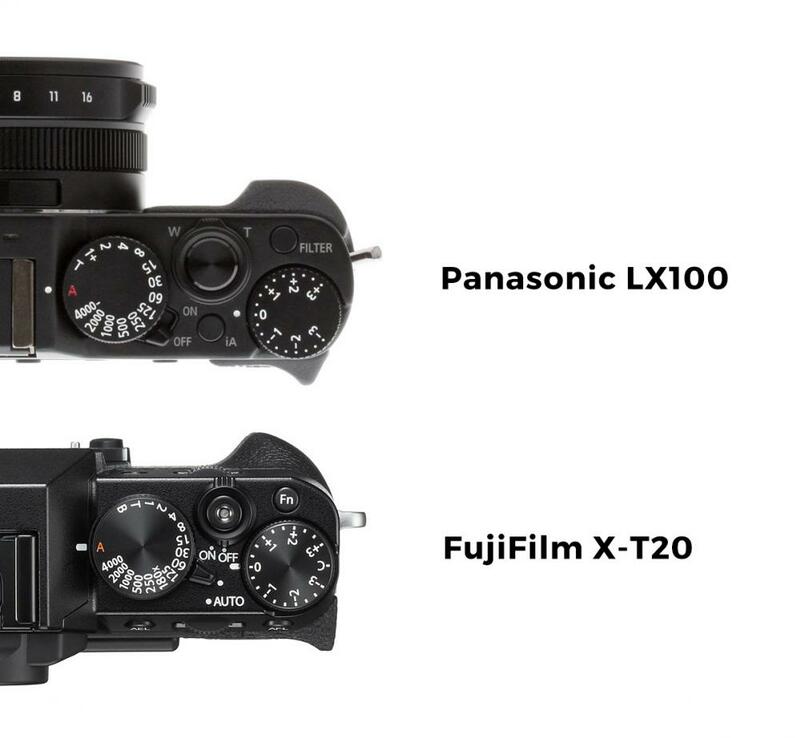 Similarities end there, because the X-T20 has a much more intuitive menu, a tiltable touch-screen, bigger EVF and of course a larger sensor and interchangeable lenses. In working with the camera I’ve found the X-T20 has some of its own peculiarities and quirks. I’ve created a separate article containing the best settings for 4K video recording and workarounds for some of those quirks, to make shooting with the camera even easier. Once you’ve customized the camera’s settings to better suit your shooting-style, its small size becomes its biggest advantage. I found I could easily take it with me everywhere I went and get useable 4K footage without many of the issues associated with other small camera bodies (shaky footage, hard to see the screen, hard to get to settings). The 3-inch tiltable touch screen quick control dials make filming with the camera a lot faster and more ‘direct’. I did find the grip a little too small for my liking. A good grip makes holding the camera nearly effortless, it just 'clicks' in your hand. The X-T20's takes some more effort to hold on to. 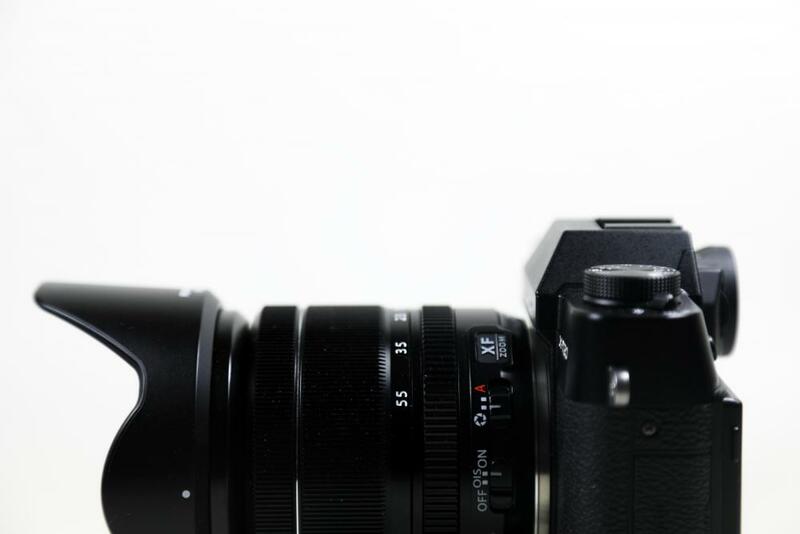 A solution would be to get this grip-extender designed for the Fujifilm XT-10/20. The X-T20 comes in a kit with the affordable16-50mm f3.5-5.6 lens, or the 18-55 f2.8-4. While both have image-stabilization, the 18-55 is slightly sharper, has a one-stop light advantage over the whole range and much better build quality. I tested the latter and was pretty impressed by its sharpness and colour reproduction. It’s pretty impressive for a ‘kit’-lens, and for many situations it’s the only lens you’ll need. Fujifilm also makes a series of ridiculously good primes, so if you're thinking of getting into the Fujifilm lens eco-system, check out Zed ProMedia's YouTube channel for lots of reviews. I also got a passive Fuji X-mount to Canon EF-mount so I could use my Canon glass on the X-T20. Currently there’s no active adapter for the X-mount (Metabones, please consider!) so you’re limited to manual focus and no image-stabilization. This is one area where I wish Fujifilm would have added in-body image-stabilization to the X-T20. With the X-T20 Fujifilm managed to make a small mirrorless camera that feels and functions like a much bigger camera. Nothing is finicky or slowing you down. And a the price-point of just under a thousand dollars, currently only the Sony A6300 comes close to its feature-set. While the Sony has the advantage of offering full-sensor readout and LOG, it comes a the cost of overheating issues and much poorer color-reproduction. An area where Fujifilm outshines all its rivals. If color and ease of use are important to you, and you're looking for a camera that you can have with you everywhere you go, but still gets out of your way, the Fujifilm X-T20 is pretty compelling choice. If you're intrigued, but need LOG-output, a headphone-jack or longer record times, take a look at the X-T2.